“Recently someone wrote me and said that since my last couple of books were full of talk of becoming and unfolding, he was beginning to sense a lurking presence of evolutionary theology. Apparently he thought this was a bad thing. My interest in the natural sciences predated my interest in the human ones, although both interests have seamlessly intermingled since my undergraduate years at university. At age fourteen I won a provincial public speaking contest with a talk on evolution so it should not be any surprise to say that I have long been strongly influenced by evolutionary thought. However, it is not the details of evolution that are of primary interest to me. That I happily leave to biologists. My interest is in the meaning and significance of the fact that the universe and everything within it is constantly evolving. To fail to notice this unfolding tendency is simply to fail to be fully in touch with reality. My approach to understanding the theological and spiritual implications of evolution draws on the work of the Jesuit palaeontologist and cosmologist, Pierre Teilhard de Chardin. He viewed evolution as a divine strategy for birthing and growing a world under the non-interfering, yet persuasive influence of the mystery many of us call God. He described evolution as the movement toward increasing wholeness. It is the process of the complexification of energy that results in a rise of consciousness – this eventually expressing itself in awareness. It is the growing of smaller wholes into larger wholes. It is a cosmic journey of becoming. 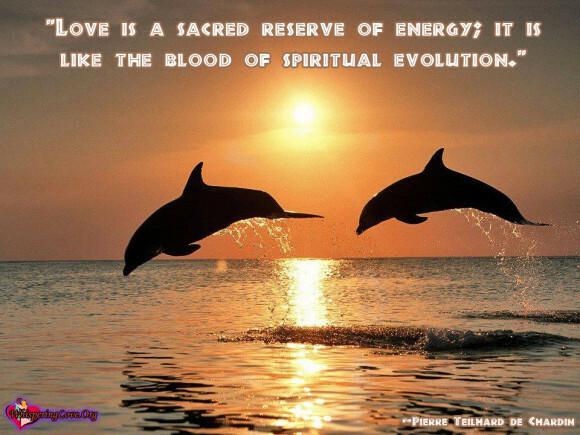 And, from a monotheistic religious point of view, all of this happens under the dynamic impulse of God’s creative power and love – God being at the heart of the evolutionary process, empowering it from within. This entry was posted in Ignatian Spirituality and tagged Acts of the Apostles, Christ, David Brenner, David G. Brenner, Divine Milieu, evolutionary Christianity, Evolutionary Spirituality, God, Noosphere, Pierre Teilhard de Chardin, teilhard, teilhard de chardin. Bookmark the permalink. I think that we fail to notice this ongoing evolution because of our relatively short life span, coupled with our individual preoccupations.